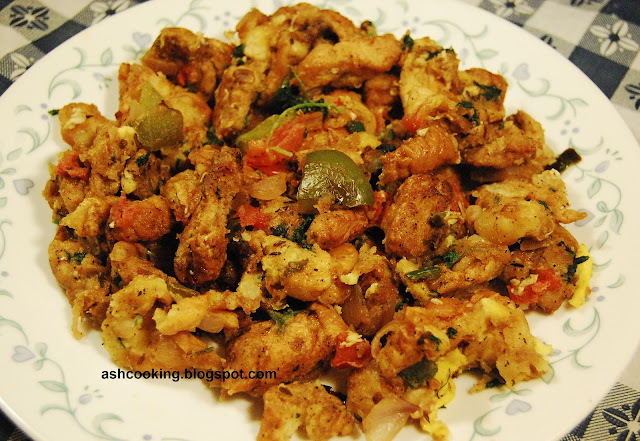 Bread Bhurji is a wonderful snack item. 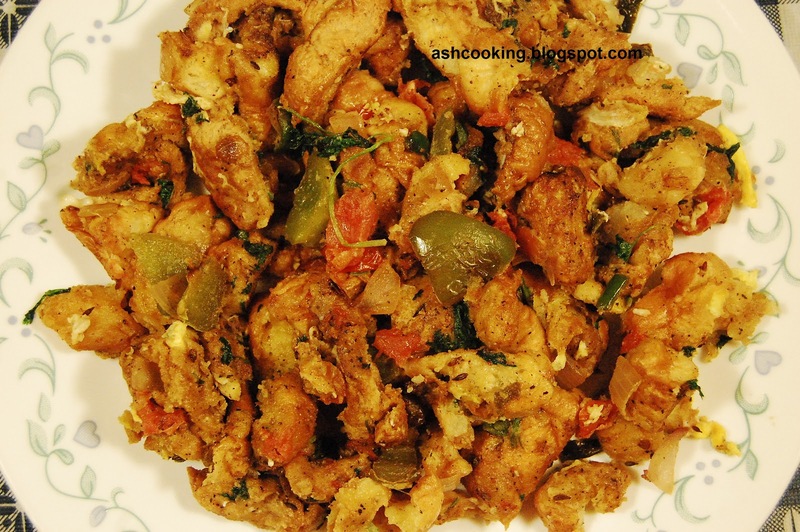 It is one of the easy to make dishes with very little hassle involved in preparation. When I am not in a particular mood to cook and feel lazy, I conjure this up to save myself from the pain of cooking for hours and it turns out delicious and mouth-watering everytime with so little labour gone into it. 1) First remove the crusts from the sides of the breads and then cut them into tiny pieces. 2) Heat the oil in a skillet and fry the onions till they turn golden in color. Add tomatoes, green chillies and coriander leaves. Fry them for 2 minutes till tomatoes soften and then add the potatoes and shallow fry for 2 minutes, stirring occasionally. 3) Add pepper and salt. Then toss the bread pieces and mix them well with the mixture. 4) Now pour the whisked egg on top of the mixture and stir well till all the ingredients blend with each other nicely. The dish is now ready for serving. I wonder if toasting the bread before dropping it into the mixture will make any difference on the crunchess/crispness of the bread crumbs. wow great i have been searching for this reciepe thanks a lot..